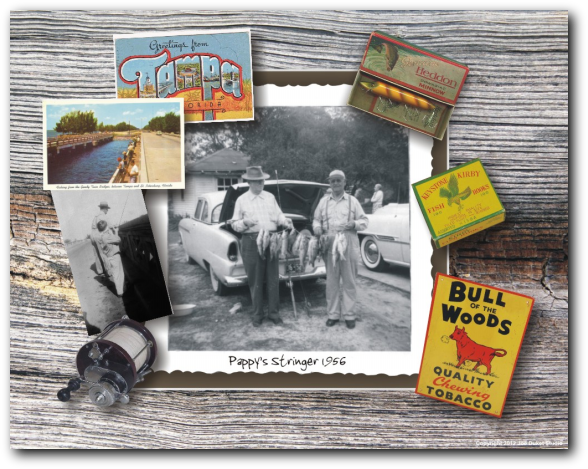 Digital Collages by Joe Duket Studio are custom designed to commemorate or honor a loved one or family pet. Each collage is individually created through collaboration with the client to assure that the heart and soul of the person or pet being honored is displayed with the proper respect and admiration. You provide the digital photographs (.jpg preferred) and a brief biography of the person or pet----those things that made them special to you. 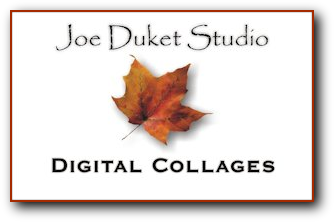 Joe Duket Studio will create a proof of the print for your approval, then print and mail the Digital Collage in 11x14 size. No matting is necessary as the print is suitable for framing as it arrives. Typical pricing for a Digital Collage is $75.00 for the first print and $50 for additional prints (plus postage). Additional charges for digitally cleaning old worn photos may apply. Contact me to discuss your ideas and receive a quote. Click on thumbnail images for the slideshow.